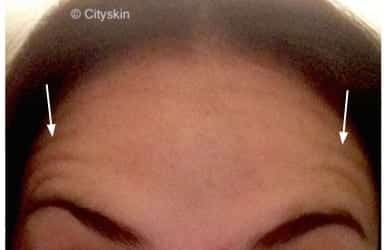 Forehead lines come in all shapes and sizes and, until now, there has not been a clear techinque on how to treat them. 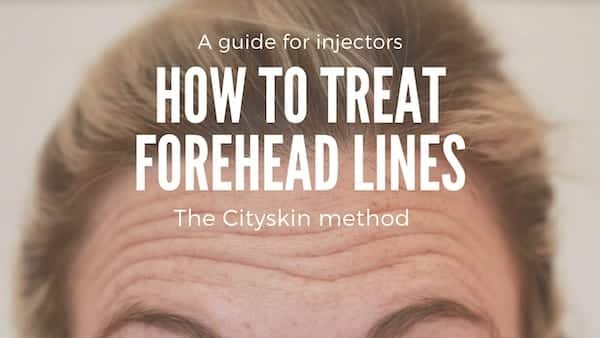 Dr Jonathan Brown and the Cityskin team have designed a method to help you assess and treat forehead lines to get predictable results every time. Forehead movements vary between patients. Some people move just the central part of the forehead whereas others, especially men, have movement up into the hairline. The image below shows the areas of movement in 3 different foreheads. Note how the patient in the second image has movement high up into the forehead and the patient in the third image has lateral movement. The aim is to create an even reduction in movement across the forehead without leaving pockets of movement. Technique: Watch the patient talk and you will notice which areas of the forehead move. Take a white eyeliner pencil and mark out which areas of the forehead move when the patient lifts their eyebrows. This is the area that needs to be treated to ensure an even result in 2 weeks time. Anti-wrinkle products spread approx 1.5cm around the injection point and you need to make sure that all the areas of movement on the forehead are adequately covered. Technique: Take your eyeliner pencil and place dots across the area of movement that you previously marked out. The image below shows the patient on the left needing 5 injection points to cover the areas that move. The patient in the middle 9 injection points and the patient on the right needs 7 injection points to reduce movement. Don’t worry about units yet – just mark out the dots to cover the areas that move. How strong are the muscles in the forehead? Does the patient have furrows in the forehead like Gordon Ramsay which are present at rest or do they have very faint lines only visible on movement? 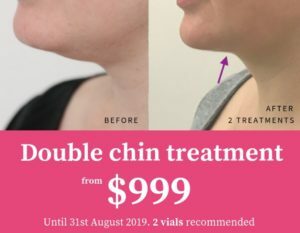 In the diagram below the patient on the left has a faint line whereas the patient on the right has deep lines requiring more units. ‘Spocking’ is the word given to the excess lateral movement in the forehead after misplaced anti-wrinkle treatment. The photo below shows a patient who had anti-wrinkle treatment overseas to the glabella and forehead. The lateral forehead has been missed giving rise to the ‘Spocking effect’ shown below. So, how do you predict who is likely to experience spocking? 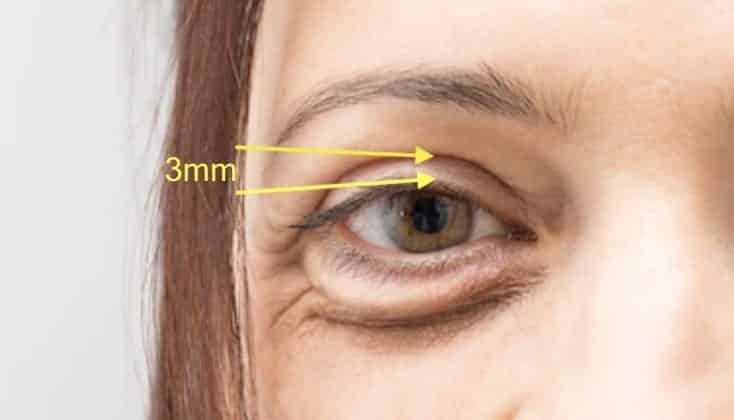 The best way it to prevent the glabella moving using two fingers and see how the forehead moves when the patient lifts their brow. If there is lateral movement then you should consider treating the potential spocking area when you treat the forehead. In the image above the patient appears to have a straight forehead line. 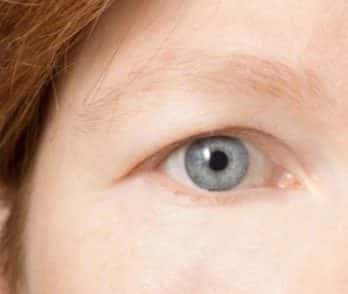 On lifting the eyebrows with the glabella isolated the patient has lateral forehead movement. If they are a spocking risk and you should consider treating with an additional 0.5 units just above the apex of the spocking area as shown in the last picture. Whenever you see loose eyelid skin beware! Any forehead treatment in the second two patinets shown below will make the eyelids heavier. Some patients have fullness in the brow shown by the purple arrow in the image below. This patient is in her early 20s but has some fullness in the lower brow. Treat these patients again with caution as too high a dose in the forehead may cause the brow to drop which may look and feel heavy. How many units should you use? Use the 4’s’ system to assess the patient and calculate how many units to use. 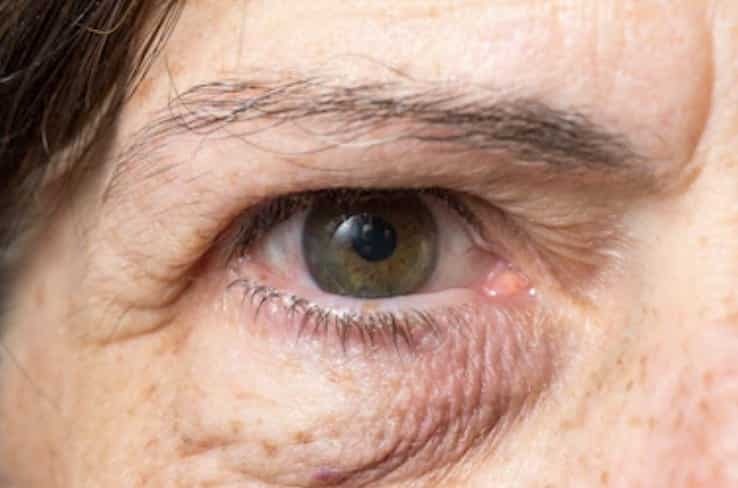 Watch out for hooded or heavy eyelids – sometimes not treating at all is an option.